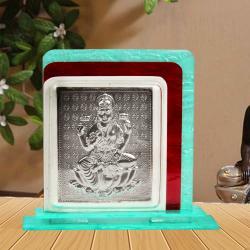 Product Consists : Crystal Frame of Silver Plated Ganesh With Table Stand. 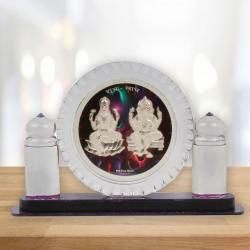 Ganesh is crafted from a Silver plated with a Silver foil finishing to give it a rich and classy look. Bring home this intricately-carved table top and get the divine blessings of Lord Ganesh. Add a religious and traditional touch to your home interiors with surreal and distinctive showpiece. Worshipping Gods is an important part of Diwali celebrations to seek their blessings for a healthy and prosperous life. 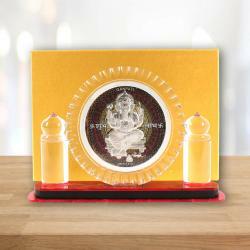 This is a lovely product comprises of enchanting idol lord Ganesh. 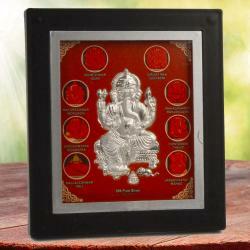 It symbolizing for success and prosperity, So order it today and bring auspiciousness in life of your dear ones. 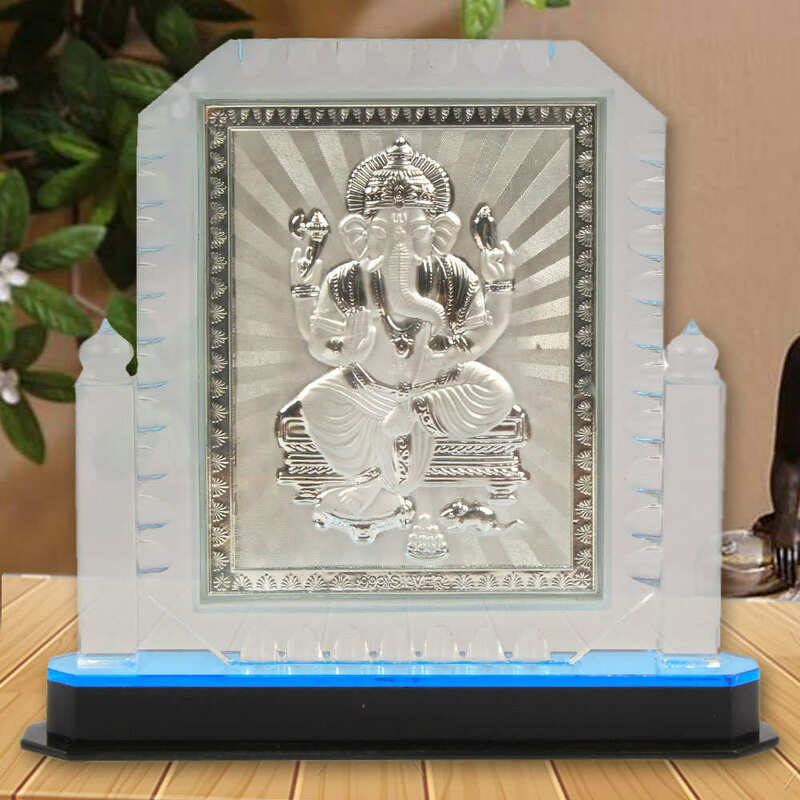 Product Includes : Crystal Frame of Silver Plated Ganesh With Table Stand.